Mound City received its name by the early explorers due to the numerous Indian mounds discovered in the area. Once an old trading post, Mound City is now newly revitalized and boasts farmhouses for nightly lodging, an events hall and acres of Delta fun. Guests may pick seasonal vegetables growing across the road from the farmhouses, or just sit back and enjoy the south wind that keeps the place breezy and pleasant. The Farmhouses are surrounded by wide open spaces of farmland facing the Mississippi River levee. They are the perfect escape from the hustle and bustle of daily life to a peaceful and quiet getaway. Our event hall is in what once was the former Mound City Commissary, a place where goods were traded. Now renovated, the Commissary provides a unique, one of a kind backdrop for any event. Whether it’s a wedding, birthday, picnic, reunion, or corporate outing, Mound City makes a perfect event location. Sitting on 500 acres of Delta farmland, Mound City grows a variety of fruits and vegetables. There are acres of corn, peas, rice, wheat, soybeans, pumpkins, berries and grapes. Guests may pick seasonal vegetables planted across the road from the farmhouses. Spend some time at Mound City and get a taste of real Delta farm life with all the comforts of home. From its significant role in native American history, to its proximity to the worst maritime disaster in U.S. history, the sinking of the Sultana, Mound City has a long and captivating cultural history worth exploring.  There’s a lot to see in Mound City, and we want to make sure you see it all! Download our printable map so you can plot your course and take in all Mound City has to offer. If you want memories to cherish for a lifetime, make them at Mound City. With indoor and outdoor accommodations and unique Delta backdrops everywhere you look, you won’t find a more fitting venue for your special occasion.